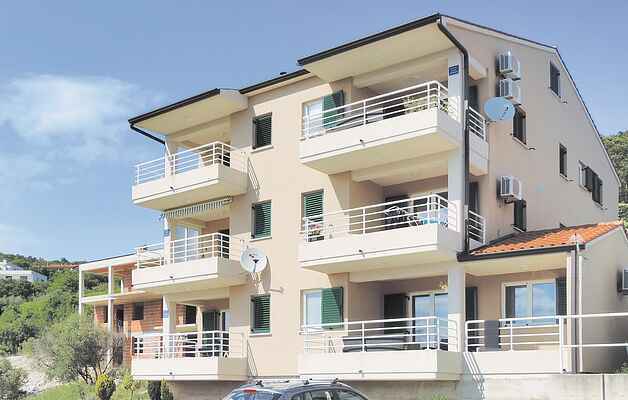 Spend your vacation in this beautiful and modern holiday apartment with nice view over the landscape and the sea, in the tourist town of Rabac. Rabac is famous for its beautiful sandy beaches and crystal clear sea. The holiday apartment is located in a residential building on the slopes of the hill above the sea. It has a beautiful covered and open terrace, ideal to relax with the favourite book. Stroll along the promenade with souvenir shops and bars during the evening. We recommend a boat trip to some of the golden islands or a visit to the nearby old town Labin.